116 pages. Price £24. Available from Waterstones. An invaluable addition to the literature on medieval Bedfordshire. If you have a strong interest in the archaeology or early history of the county this is a “must buy” book. The book starts with an excellent introduction by Robert Liddiard, University of East Anglia. In his overview Liddiard notes that: -The majority of Bedfordshire’s castles are of an early form – chiefly motte and bailey or ringwork castles – so the 150 years after the Norman Conquest are crucial to explaining how the pattern of castles across the county took shape; - Many of these castles are undocumented and the only clue to their existence is the fact that their earthworks survive today. These remains vary widely – from substantial and well-preserved motte and bailey castles at Yielden and Cainhoe to mere ploughed traces; - The royal castle at Bedford was probably an early foundation, with an important administrative role subsequently; Cainhoe and Thurleigh were probably early Baronial castles; - By the late-12th century, Bedfordshire had one of the largest densities of castles outside of the English borders; thereafter the county was not the focus for castle-building on any scale. 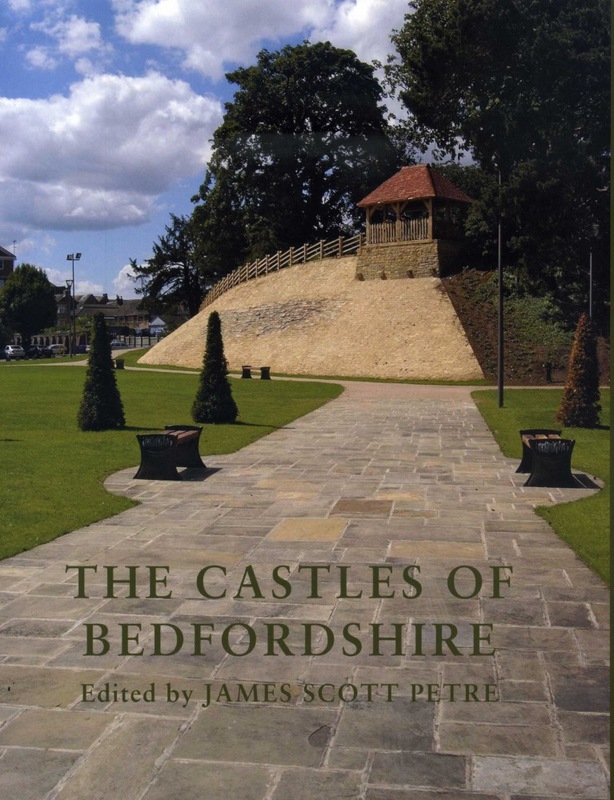 In Part I, James Scott Petre describes the origins and development of castle-building in Bedfordshire, including manorial complexes and moated sites and licences to crenellate. Part II, by Jim Inglis, recent Keeper of Archaeology at Bedford Museum, provides a detailed history of Bedford Castle – “Blood, Bowls and Beer”. In Part III Jeremy Oetgen describes recent archaeological searches for Bedford Castle, including an excellent map of its key features and photographs from recent excavations. Part IV is an excellent detailed illustrated gazetteer by Petre, listing all known castle sites in the county. Equally welcome is the subsequent gazetteer of “Castle sites now discounted”, from Ampthill and Arlesey to Sandy and Tempsford (Gannock’s Castle). There is an extensive bibliography. Rating: ‘must read’; ‘should buy’.